Your Mind, Money, & Mania! 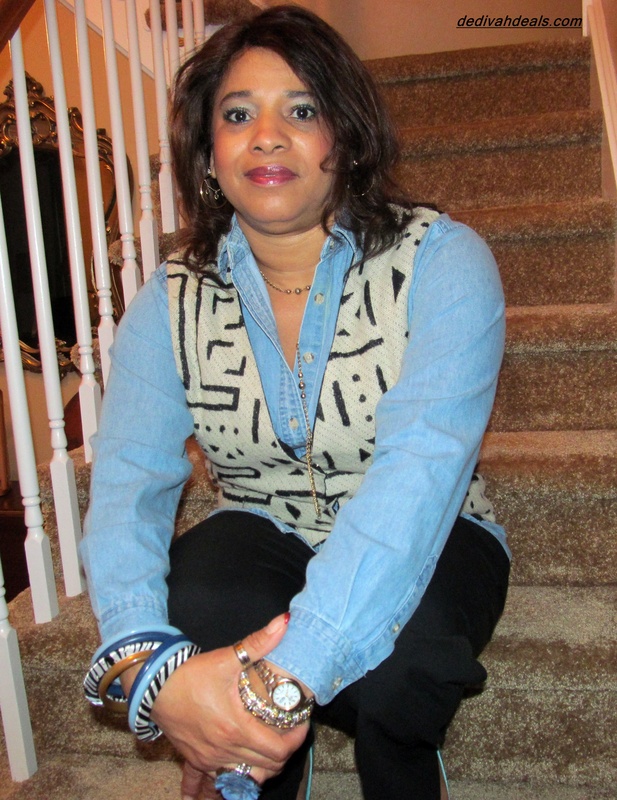 Just visiting from Style Elixir’s link up. 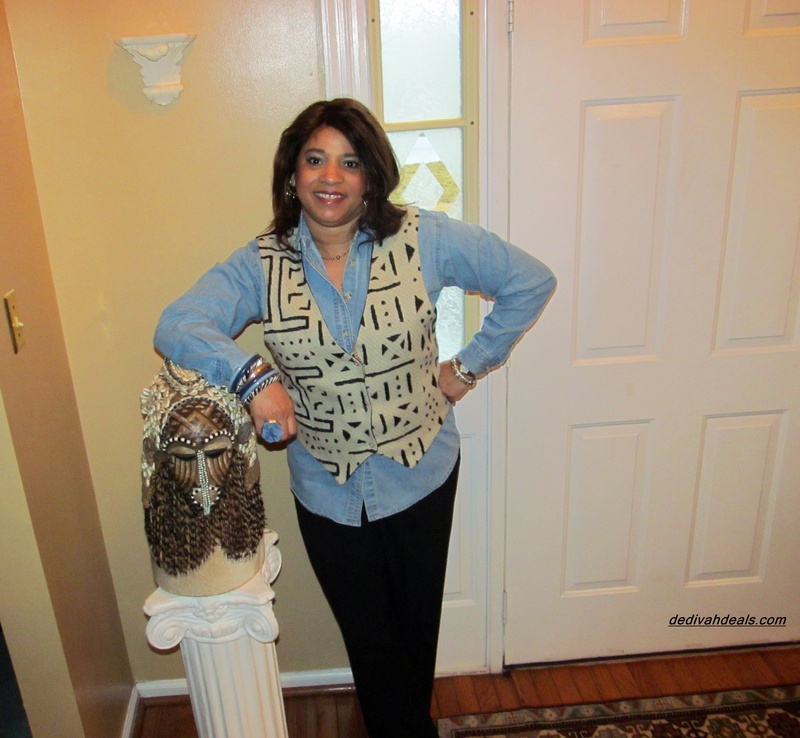 Love how you styled the chambray top. Thank you, I’ve had it for a while, too bad it’s embroidered with the “Avon” logo! You look great! Isn’t it amazing how God just seems to work EVERYTHING out! Indeed there is great power in prayer. Love your bracelets! Yes he does. I like mixing bangles! Yes, he does answer prayers is what I meant to say…getting late! 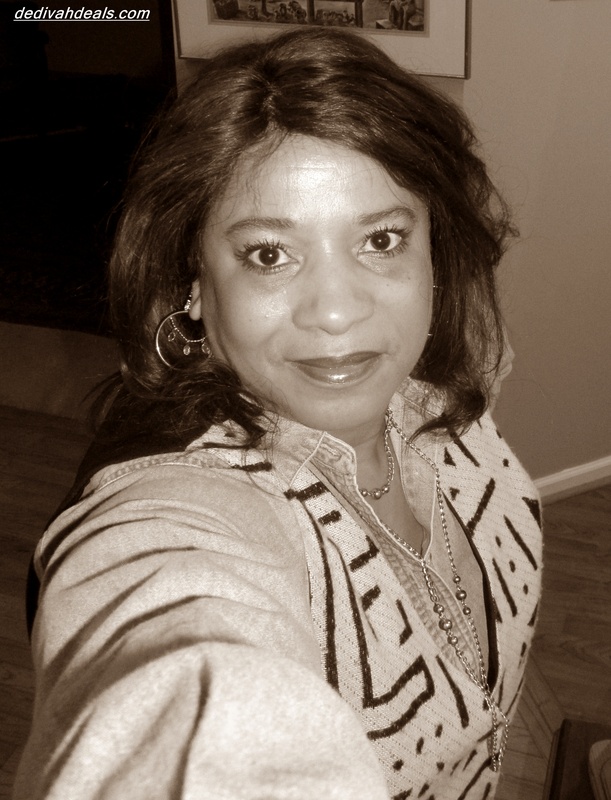 Hi Antionette, thank you for stopping by my blog and leaving a comment! If you’re not careful I’m going to have to pay you a visit and shop your closet ;)! Just kidding, but in all seriousness, that vest and those heels would fit perfectly into my wardrobe. I love the way you styled them. Also, I’m so glad to hear that God gave you an answer to your prayers. He is faithful! You have an open invitation as long as you reciprocate! God never fails, but often when we want to “go”, he says, “slow”! This is awesome, I love both of those scriptures and truly believe in the power of prayer. I’ve been a little overwhelmed lately but thankfully with prayer things are turning around. The irony sometimes, how things really never go ‘out’ of style as long as your pair it well and that’s what you’ve done! 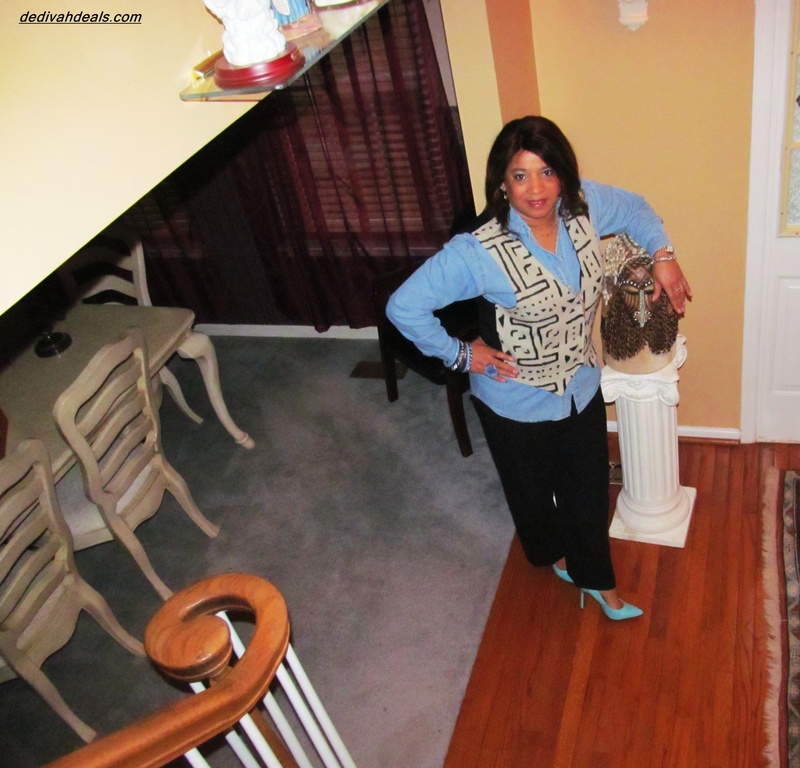 Love the pumps too (I’m a high heel girl)! 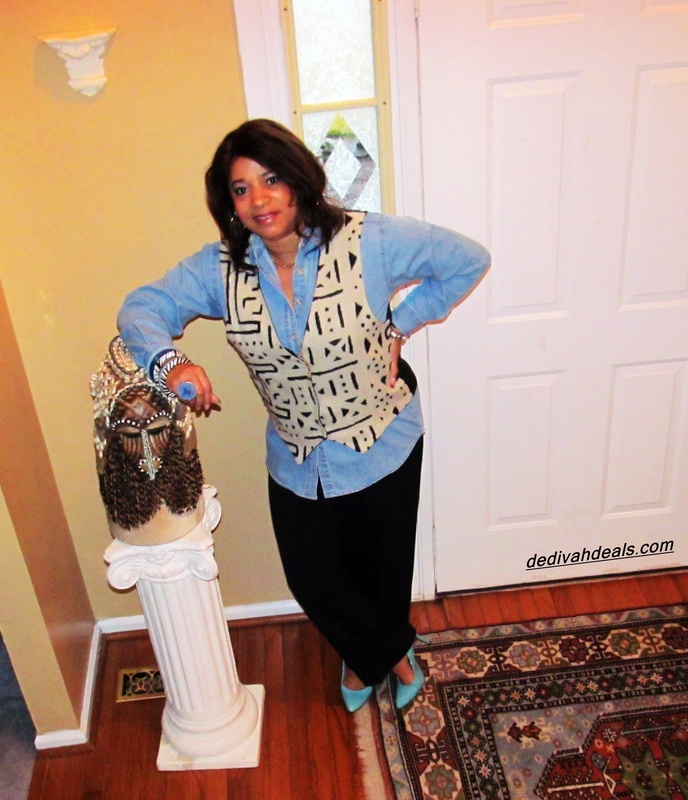 That vest is fantastic over the Chambray top and those pumps are such a gorgeous color. Love them!!! Thank you! My son is glad it’s unisex! 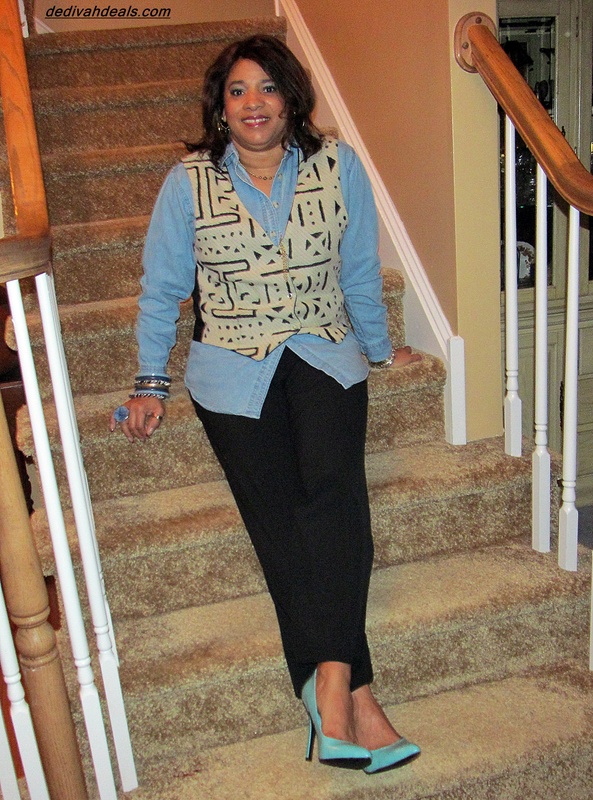 What a fantastic pop of color against the chambray and black. I love love love the vest pulled into this set. Ok the ring.. FABULOUS !